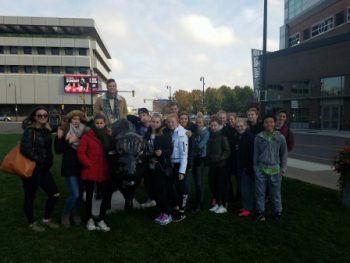 HIGH SCHOOL EXCHANGE - Buffalo-Dortmund Auslandsgesellschaft.de e.V. The program is designed for German students only. 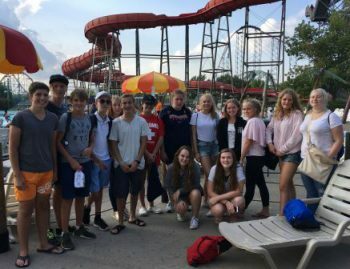 It is a possibility for students from Dortmund and the surrounding area to visit an American High School for four months. They can get to know everyday life in an American family and they can experience the US-American culture up close. Nonetheless, you as host family can benefit as much from this exchange as the student does. You get to know the German culture, holidays and habits. On top of that the student will become part of your family and you will establish a lifelong friendship to the student and his or her family. The group of Dortmund students compromises between twelve and eighteen adolescents. The 15- and 16-year old students are accompanied by Laure Geslain or Dan Scanlon, contact person from the Foreign Institute. After spending 5 days in New York City and getting to know famous sights like Times Square and the Empire State Building, the group heads to Buffalo. In Buffalo the program coordinator is willing to listen to both students’ and host families’ requests and problems. You won’t be left completely on your own as host family. The program coordinator organizes and attends all trips in and around Buffalo – which the host siblings are welcomed to join, too. Items on the agenda are: visit of Niagara Falls and Maid of the Mist, Darien Lake Amusement Park, Ellicottville Sky High Adventure Park, Rafting in Letchworth State Park, etc. Once or twice a month the group will meet up and do something in or outside Buffalo. The High School Exchange takes place from shortly before the start of the school year until shortly before Christmas. From mid of August until mid-December is the general time frame for this program.